I don’t drive with snow on the roof of my car too often. I live in Central Florida, where we’re lucky to get a light dusting of snow or flurries once every decade or so. But a friend who knows I write about all things weather asked me about the different laws that ban snow on car roofs. I hit the books (er, the Internet) to learn more about snow on car roof laws and learned that are many, many places that levy stiff penalties against motorists who drive their cars around with snow on the roof. 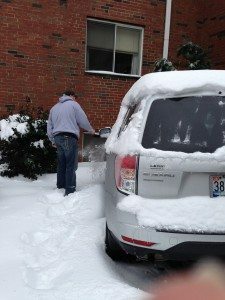 Whether you live in New England and mainly deal with snow in the winter, or you reside in the mountains of Alaska and handle snow almost year-round, or you just travel a lot and you never know where you’ll be driving in the winter months, here’s what you need to know about the laws that cover snow on the roof of cars… plus some products that help you safely remove the snow & ice from your car’s roof. Wondering why it’s dangerous — and in many places illegal — to drive around with snow on the roof of your car? The ice or snow could fall from your car’s roof onto your windshield while you’re driving — blocking your visibility. A frozen slab of ice can also create obstructions on roadways if it falls off your car. Another of the many hidden dangers of driving around with snow on your car is that a sheet of ice flying off your vehicle could hit another motorist, causing potential damage, injury, or even death. These are called ice missiles, and they’re very dangerous. NBC recently did an investigative report on a hidden danger on the highway: flying ice. See what they found in this video. It’s important to note that the following list of places where it’s illegal to drive with snow on the roof your car is not exhaustive. There are many cities, towns, villages, hamlets, and other places where you can be fined for driving around with snow on the roof of your car. Alaska — It is illegal to drive in Alaska with anything obstructing the windshield or windows, and fines may be imposed. Connecticut — Penalties for driving with snow on your car in Connecticut can range from $75 to $1,000 for non-commercial drivers and up to $1,250 for commercial drivers. Delaware — Fines are $75 in Delaware for snow on the roof and can go up to $1,000 for ice that injures somebody or damages property. District of Columbia — Truckers with snow on their roofs may be stopped for snow and ice accumulations on their vehicles. Georgia — Snow or ice accumulations on cars may be fined under distracted driving laws. Illinois — Drivers must have clear windshield visibility; they may be fined $100 or more and the offending driver is responsible for any damages. Indiana — State troopers may ask you to leave the roadway for any snow or ice accumulations considered dangerous. Massachusetts — Massachusetts police can issue citations of $35 for snow on the roof of your car and may lay criminal charges if the ice injures somebody. Michigan — Driving with snow or ice that obstructs visibility may be fined under distracted driving laws. Missouri — Snow and ice that obstructs motorist viewing can be punishable by fines of $100 or more. New Hampshire — Laws in New Hampshire consider snow on cars a highway hazard and fines can range from $250 to $300 on the first offense. New Jersey — Fines in New Jersey range from $25 to $75 for snow on the roof of your car up to $1,500 if ice that flies off your car injures somebody. New York — It is illegal to drive with something that obstructs the windshield or windows of your car and impairs your view or visibility for other motorists. Pennsylvania — Police usually only cite if flying snow or ice causes serious injury; a proposed law may stiffen enforcement and allow fines of $75 or more for snow on car roofs. Rhode Island — Driving with a “significant” amount of snow on the car is illegal in Rhode Island; fines can vary. 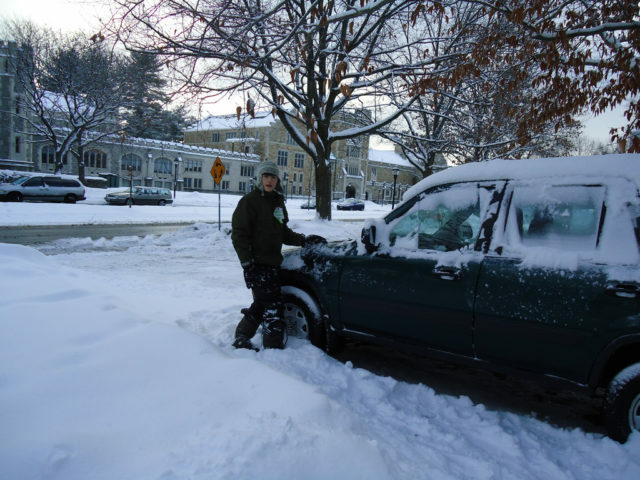 Vermont — The state of Vermont issues citations ranging from $134 to $162 for snow loads on cars or ice that obstructs motorist visibility. 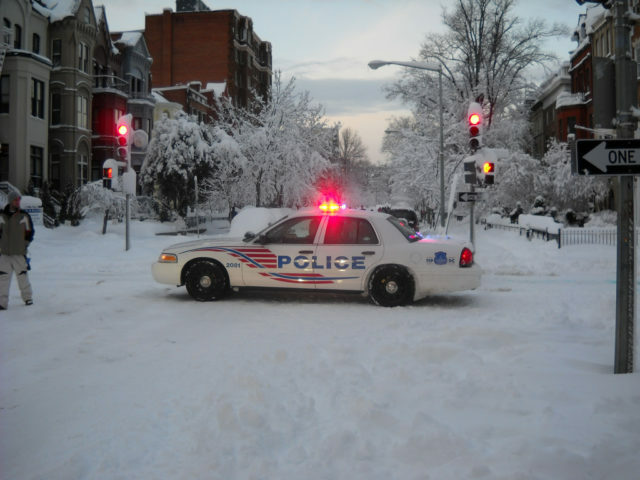 Washington — Police will pull over drivers who have snow on their cars but this normally doesn’t carry a fine. Again, this is not a complete list of snow and ice laws, places where they are imposed, or fines. New laws are being added to the books all the time, and existing laws may be modified. So, I advise you to use this as a springboard for checking into your local, county, parish, and state laws as they may apply to you at this time. Keep the snow & ice from building on your car’s windshield and roof in the first place using a windshield snow cover. Remove the snow & ice from your windshield and car roof before you drive using a long-handled snow brush or snow broom that is lightweight and safe to use on vehicles. My friend thinks placing a heavy-duty tarp over the roof of your car that you simply tug off in the morning (pulling all the snow off your vehicle in the process) is also a great idea. I agree! They happen to make something similar: a car top roof cover & windshield cover.